This cut has been popular in the States ever since Thomas Jefferson introduced it. It is also called “elbow” pasta due to the slight bend in its’ middle. In the U.S.A. it is almost always served to children with a very suspicious cheese “product”. If you follow the letter of the law, it is illegal to call this green cardboard powder”cheese”. To gourmets, this dairy complement is in keeping with the spirit of macaroni’s Latin name. It translates as “to bruise or crush”. 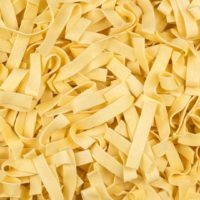 In Italy traditional maccheroni is a straight tube, not bent. This cut has also been adopted into the native cuisines of the U.K. and parts of Asia (with British colonial histories like Singapore) though it is more of a breakfast dish in the latter. 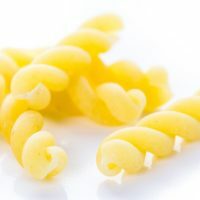 While cheddar is the American go to cheese pairing for this pasta, have some fun and try other adult-friendly melty cheeses like taleggio! Honestly, no one has a clue where the first macaroni was made. Theories abound ranging from the Chinese to the Italians. But the cut is just too old and too widespread to be sure. And it could have been invented independently in different geographic regions (like evolutionary theory by Darwin and Wallace). If from the Greeks, then it was a food served at funerals. It could be from the the Italian verb maccare (to pound or crush) according to one scholar. Heck, it could’ve been invented as blow-guns for angry grasshoppers. Everyone is equally poor in having the answer. But everyone is equally rich in opinions on it. 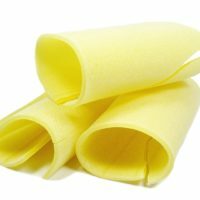 MACARONI’S NAME HAS BEEN UNJUSTLY TIED TO MANY SCANDALS? In 1772 “The Macaroni Club” scandal involved the legal persecution of homosexual couples. Or in 1912 it was assigned to a bribery scandal involving a wireless company government contract. 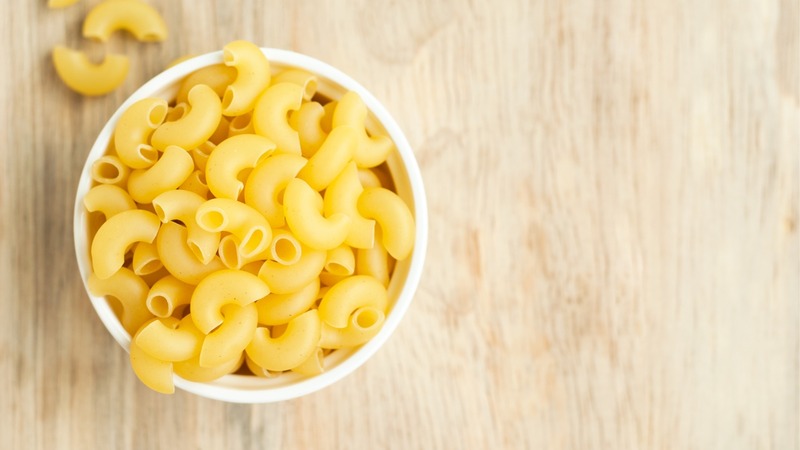 The 2017 scandal involved harmful chemicals found in mac and cheese brands popular with children. Anything that is “bent” or curved seems fair game, making this pasta the durum equivalent of “Cain” to spaghetti’s “Abel”. WHAT SAUCES GO WELL WITH THIS PASTA? The popularity of this cut is due to its versatility. You can pretty much use it with anything. If you’d like to see one of our recipes using macaroni check out our Alfredo sauce recipe!